When a toilet is flushed, a plate at the bottom of the tank rises causing water to be siphoned upwards over the u-bend down toward the flush pipe and into the toilet bowl. As a result of the water level dropping in the tank, the float and float arm drop pulling the float valve open. The water then refills. The flush motion of a tank is probably the most overworked plumbing component used. Occasional servicing is highly recommended to keep it working properly and flushing well. Open the main water supply tap fully to make sure that the water is flowing at maximum capacity. Lift the tank lid and check that the water level is filled up to the pre-marked level inside the tank. Ideally, this should be about 1 inch below the overflow pipe outlet. Low water levels in the tank mean that there is less energy to flush. 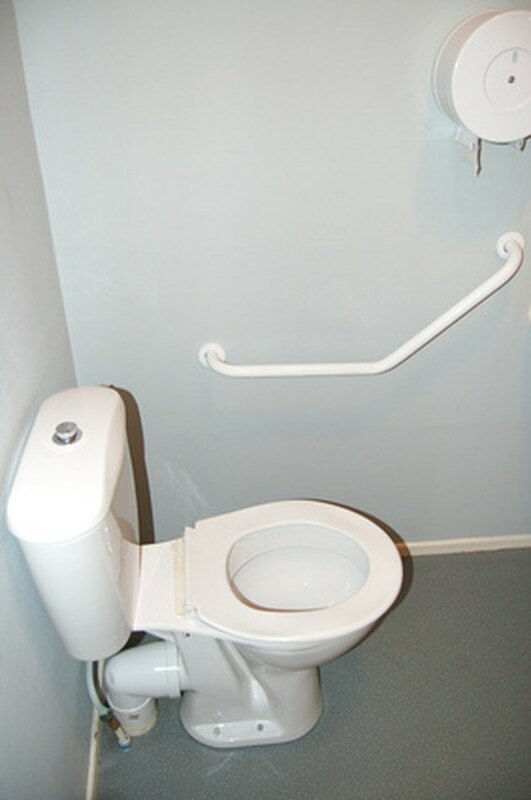 If the water level is too low, it can be adjusted by moving the sliding device that is connected to the float arm. If there is no sliding device, then it is possible to adjust the screw that is situated between the float valve and the float arm. Turn it clockwise to lower the water level and counterclockwise to raise it. If the water levels are not the cause of the problem, lift the tank lid to locate the arm (rod) of the float valve, and tie it up with string. Then flush. The tank will now be empty leaving the float visible. If the float contains water, it will need to be replaced by unscrewing it and screwing on a new one. If there is still no improvement in the flush power of the toilet, check for blockages in the flapper valve, which is located in the bottom of the tank. These can usually be removed by hand. Also, using a mirror, check the small holes underneath the toilet bowl rim. If the holes are blocked with lime scale, a wooden toothpick can be used to carefully remove it. Untie the float arm, replace the tank lid and then flush. Based in London, Juliette O'Hara has been writing since 1996 for publications such as the "Croydon Advertiser" and the "South London Press." She also ventured into the beauty industry, running her own salon for three years. She holds a Bachelor of Arts in media arts with English literature from The London College of Music and Media.